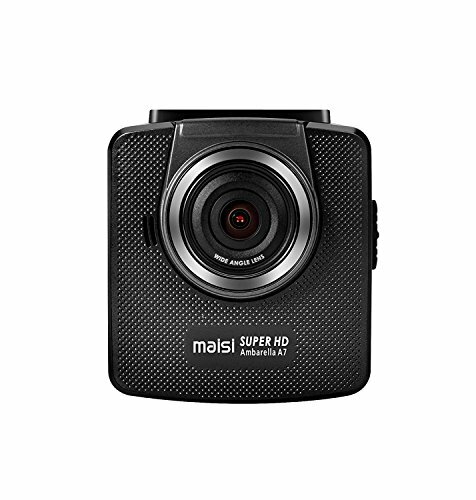 The Maisi Ultra HD dash cam offers superb video quality (better than 1080p), and an impressive field of view, providing you with convincing video evidence if you are hit from the front or sides. 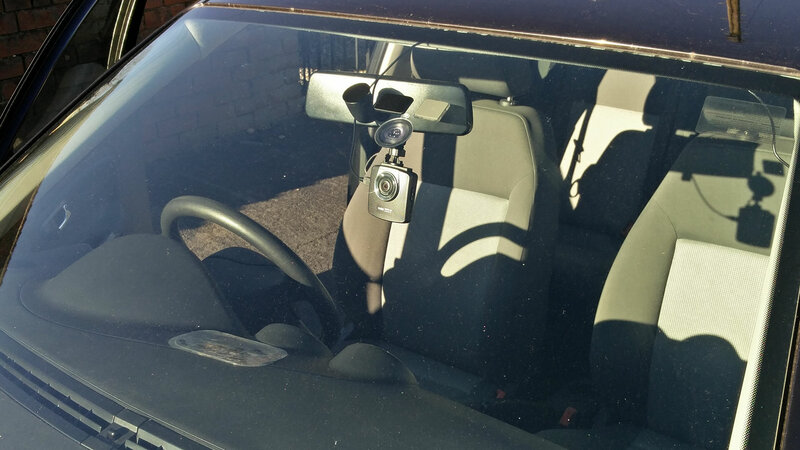 The quality allows the dash cam to pick up finer details such as number plates, and the motion detection mode can be used to protect your vehicle while parked. If you're looking for an easy to use, value for money dash cam, the Maisi Ultra HD has everything you need. As with all Maisi dash cams, the customer support is second to none. 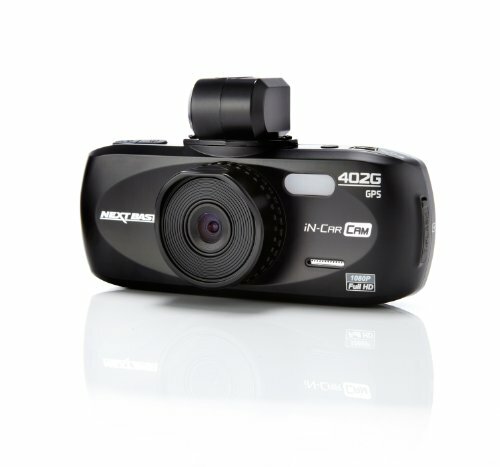 Note: this model is very similar to the Maisi In-Car Camcorder, another dash cam worth considering. This isn't a paid sponsor, I am continuously impressed by Maisi dash cams. 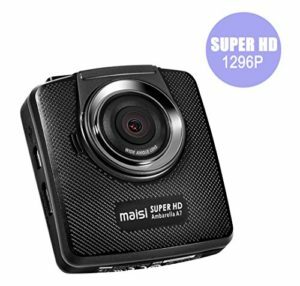 Super HD Recording - This dash cam allows a range of recording resolutions including; Super HD 2304 x 1296p, Full HD 1080p with High Dynamic Range, and 720p at 60 frames per second, giving you access to the best resolution dash cams are currently able to offer. 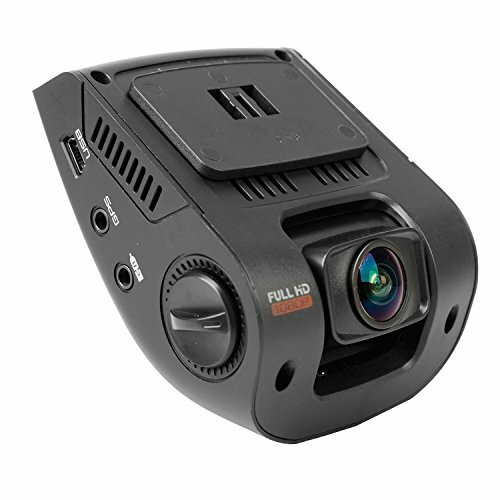 150 Degree Wide Angle Lens - The 150° wide angle lens covers the entire road, allowing this dash cam to pick up overtaking cars earlier than other models. Not only will this provide a clearer view of the surrounding area, but the footage can be relied on if a car hits you while pulling into your lane. The Maisi Ultra has a particularly impressive field of view. Suction Mount - The included suction mount allows you to set up the Maisi In-Car Camcorder in any vehicle. This also makes setting up and adjusting the dash cam quick and easy. Loop Recording - This Maisi Dash Cam can record in loops of 3 mins or 5 mins. When the microSD card fills up, the dash cam will begin overwriting the oldest footage that hasn't been protected. G-Sensor - This built-in accelerometer detects any sudden changes in gravitational forces and automatically enters Emergency Recording Mode, protecting the important footage. The three sensitivity settings on this camera are low, medium, and high (you can also turn the G-Sensor off). 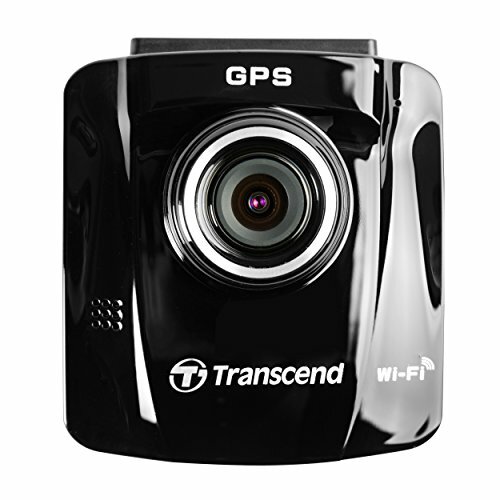 If the footage locks when you are driving over potholes and speed bumps, reduce the sensitivity of the G-Sensor. Motion Detection - After turning this on in the menu, the Maisi Ultra HD Dashcam will enter parking mode when it stops receiving power. In this mode, the dash cam will automatically begin recording as soon as motion is detected. Advanced Features - The Maisi Ultra HD features several advanced features. The Low Light Warning system detects when it is dark, and reminds you to turn on the headlights. The Lane Departure Warning System indicates when you are drifting out of lane, great for long motorway journeys. Most dash cams are unable to store footage without a microSD card, so you will need to purchase one before setting it up. The Maisi Ultra HD Dash Cam accepts microSD cards up to 32GB, and we recommend a Class 10 card as they guarantee a write speed of at least 10MB/s, a requirement for 1080p video. To make the most of this cameras superior 1296p resolution, we recommend a 32GB card with a write speed of around 20mb/s such as the SanDisk Extreme. The Maisi Ultra HD has four buttons on the back, underneath the screen. These buttons are very well made, making it easy to navigate the menu. The far left button is used to enter this menu, and is also used to "Go Back" when making a selection. The next button (up) takes you to the playback screen, allowing you to watch any of the footage you have recorded. The third button (down) stops the current recording, and can be pressed again to take a picture. The right hand button (OK) locks the current recording, and if recording has been paused, it will allow you to resume. This is also used as the selection button in the menu. 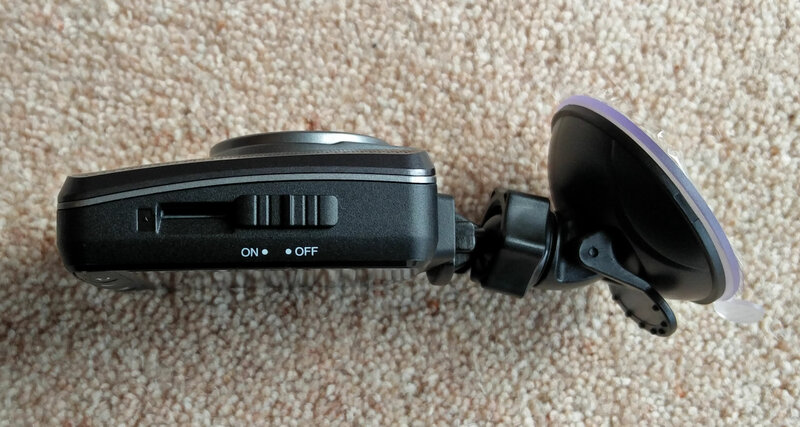 A fantastic feature on this dash cam is the On/Off switch, which demonstrates a well thought out design. As the camera is switched on, the micro SD card slot is covered up. This prevents you from inserting or removing the card while the dash cam is in use, as this can cause irreparable damage. On the opposite side to this switch you will find two slots. The top one is for the USB cable. This is used to power the cable while the dash cam is in use, and can also be used to transfer the video files to your computer. The final slot is for a HDMI cable, and allows you to connect the dash cam to a HD monitor and play back video. 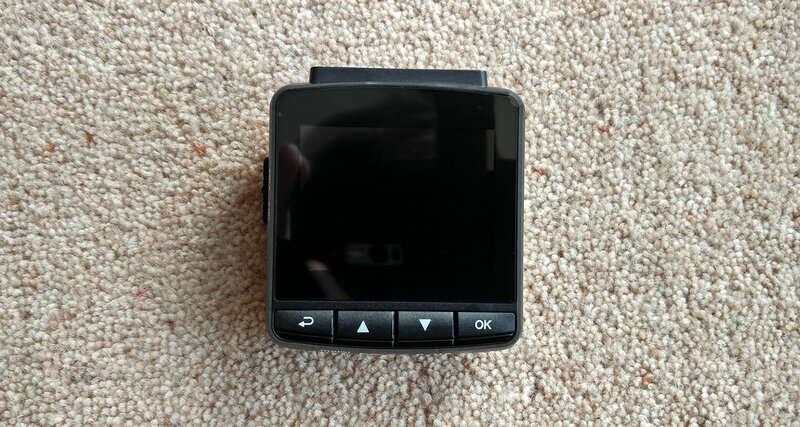 The very first thing you should do is insert the microSD card before switching on your dash cam, to avoid damaging either the card or the device. This isn't as much of a problem with the Maisi Ultra HD, as the On/Off switch covers the SD card slot when turned on. To begin, slide the suction cup mount on top of the dash cam. You may need to use a lot of force while pushing, as this can be difficult to get on. At this point you will want to peel off the lens cover. Take the dash cam to your car, and experiment with a few positions to see which you prefer. It is important to check the laws where you live, to find out where you are allowed to place the dash cam. As long as the camera is on the passenger side, or behind the rear view mirror (and not obstructing any of the drivers vision) you should be fine. When you are happy with the position, attach the suction mount to the windscreen by pushing it on and clicking the lever up. This mount is very easy to take off by simply using the lever, so spend some time finding a good location. Once stuck on, simply twist the knob and adjust the angle of the camera. Slide the mount on top of the camera. You will need to use a decent amount of force to slide it all the way in. You should hear a click when the mount is in place. When you are ready to attach the camera, push the suction mount on to the windscreen and flick the lever up. This will create a suction, holding the camera in place. You can twist the knob on the right hand side to move the camera forwards and backwards. Tighten this once it is in place. Now you can plug in the USB cable, and tuck this above the windscreen over the passenger side. Follow this along, and down through the rubber on the side, before taking it underneath the floor mat. If you would like to use cable mounting clips, you can stick these onto the glove box or windscreen, but this isn't necessary. Insert the power adapter into the cigarette lighter socket, and plug the camera in. 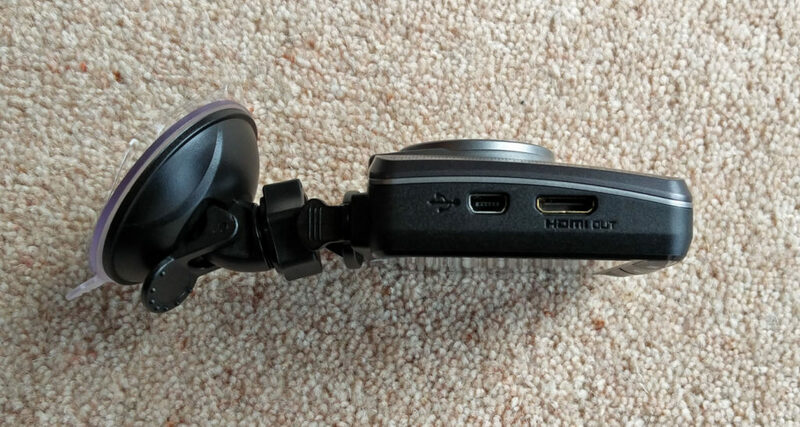 For an very detailed setup guide with images you can read our article How To Set Up A Dash Cam(Cable Management), or visit our friends at dashcam guru.com. The next step depends on how your car delivers power to the 12V socket. Once the USB cable is plugged in, you may see a light on the dash cam to indicate it is receiving power. If it doesn't light up, your car requires the ignition to be on for the 12V socket to be active. 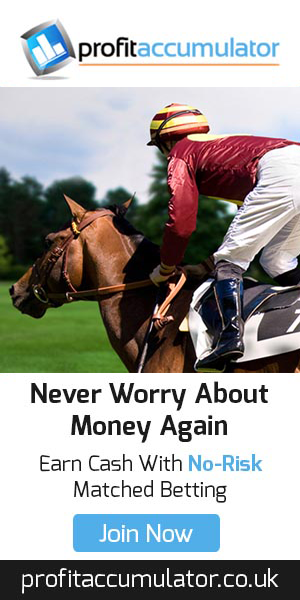 In this case, turn on the ignition, and switch the dash cam on. Important: With any first time set up, you should begin by formatting the SD card (make sure the footage has been copied to your PC as this will wipe all the current data). To do this, press the menu button (far left). This will automatically stop the current recording, and enter the menu. From here, you'll have to press up three times to navigate to the "Format" selection. Once highlighted, press "OK", and use the up arrow to highlight "Yes" before pressing "OK" to confirm. Unlike other budget dash cams, the menu on the Maisi In-Car Dash Cam is intuitive and easy to navigate. Everything is laid out under a single menu, which is accessed by pressing the button on the left, and navigation is done using the up and down buttons. Pressing the "OK" button selects an option, and when you have changed the desired setting, the left button takes you back to the menu. Press this again to exit the menu, and enter back into recording mode. The settings menu is intuitive, so we will only outline a few of the key features below. Video Resolution - Here you can decide the recording resolution. I recommend HDR 1920 x 1080, as this will offer fantastic quality with decent file sizes. It is possible to record at 2304 x 1296 resolution, but the large file sizes will fill up the microSD card quicker. It is also worth noting that you won't notice much of a difference with the 1296p recordings, unless you have a monitor with equal or better resolution (most monitors only support 1080p). If you value frame rate over video quality, it is worth considering recording at 720p@60fps. Motion Detection - While motion detection is turned on, the camera will automatically record when it senses movement. Be warned though, this feature only works when the camera isn't connected to a power source, so can only last as long as the battery life. Collision Detection - G Sensor - Off / High / Medium / Low - This accelerometer detects a change in gravity forces, and protects the important loops. If you find the footage is locked by potholes and speed bumps, consider reducing the sensitivity of the G-Sensor. To play back files on the Maisi Ultra HD dash cam, you will first need to go into "Playback Mode" by pressing the up button. From here you can use the up/down buttons to navigate through the videos, and press "OK" to play the highlighted one. Now you can use the "OK" button to pause and play the video, use the far left button to go back, or use the up and down arrows to go through each video, very simple and intuitive. The only complaint you might make here is that it would be nice to delete a video in playback mode, rather than having to go into the menu. As you can see from the videos, the quality of the footage is pretty good, and even allows you to pick up number plates at a close distance. Although the colours aren't as vibrant as those recorded with the Maisi Smart, the footage is fairly sharp, and definitely good enough to rely on as evidence. The standout feature on this dash cam is the very wide angle lens. This is described as a 150 degree lens, but captures a much wider field of view than the 170 degree lens of the Maisi Smart. As with any other dash cam, clarity is lost in the dark, but still gives you good enough quality to rely on as evidence. 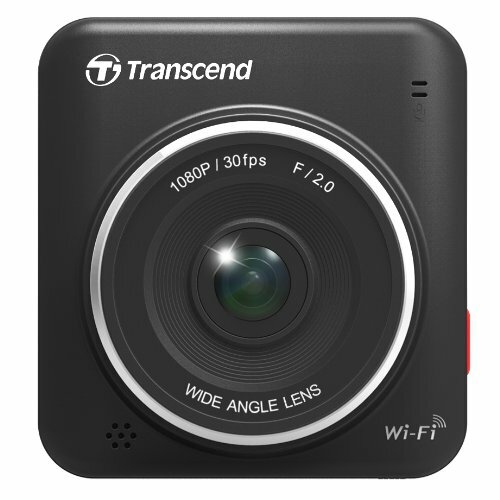 The camera has slight problems with streaks of light, but overall the night footage is very impressive for a dash cam of this price. The Maisi Ultra HD provides very high quality when set to the best resolution, but file size can be a major downside, and the SD card will up quickly. For this reason we recommend recording at 1920 x 1080 HDR, as this resolution has a good balance between quality and file size. My 32GB micro SD card allowed 30 emergency recordings, more than enough as long as you format the card regularly. 720p @60fps is a great alternative choice for those who prefer a smoother video to great resolution. The High Dynamic Range helps the camera provide a great video at night, and although the colours aren't vibrant, the sharp video allows you to read number plates at fairly close range. The stand out feature is the very wide field of view, giving you an incredible view of the surrounding area, and protecting you from being hit from the side. This dash cam is one of the best we've tested, and I am happy to recommend this to anybody looking for a simple dash cam to protect them on the road. I also recommend checking out the Maisi In Car Camcorder, as this is a very similar dash cam for the same price. 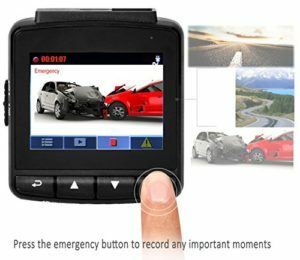 For slightly superior video quality and GPS tracking data, take a look at the Smart car recorder with GPS, also from Maisi. Now for the negatives. These may sound like we're being a bit picky, but that shows you how much we struggled to find any major flaws with this camera. I found the mount particularly hard to attach to the camera, as this required a lot of force. Once attached however, there were no issues. 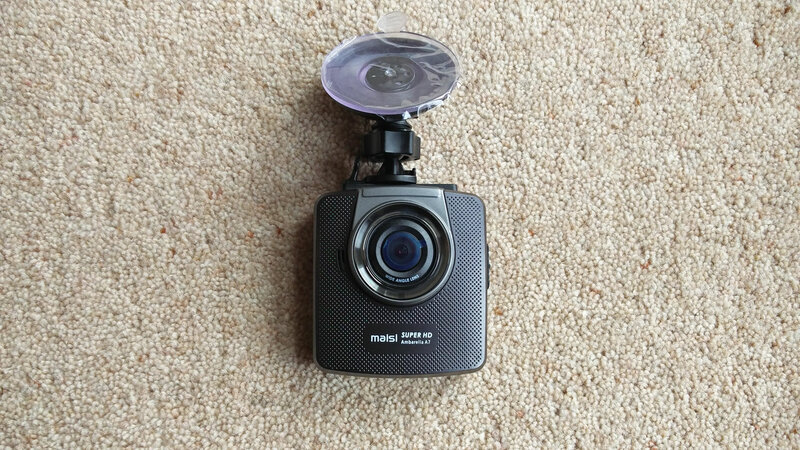 Although this dash cam can record audio the quality is very poor, and the microphone picks up a lot of background noise. The loop length can only be set to 3 or 5 minutes, so if you would like to record a continuous journey you will need to stitch these together in a video editing software. My final and largest complaint is with the motion detection. This only works when the camera isn't receiving power, therefore can only record for as long as the battery lasts. For a quick stop at the shops this is fine, but for longer periods of parking, or setting up as a camera in the home, you will have a problem with battery life. Because of this setting, there isn't much point hardwiring the dash cam to your car. As far as improvements go, we always like to see more dash cams come with microSD cards included, to avoid the extra cost, and confusion about which to buy. This is particularly important with the Maisi Ultra HD, as purchasing the standard class 10 microSD may not be fast enough to record at the highest resolution. I would also like to use motion detection when receiving power, so the dash cam can be used for more than just driving and quick stops. Apart from this, the Maisi is very easy to use, and has everything you need in a basic dash cam. I would be more than happy to rely on this camera to protect me on the road. Some other dash cams to consider are; the Rexing V1 for a more discreet design and lower price (also lower quality), the Maisi Smart for GPS tracking, and the Maisi In-Car Camcorder, with a similar design to the Maisi Ultra HD. 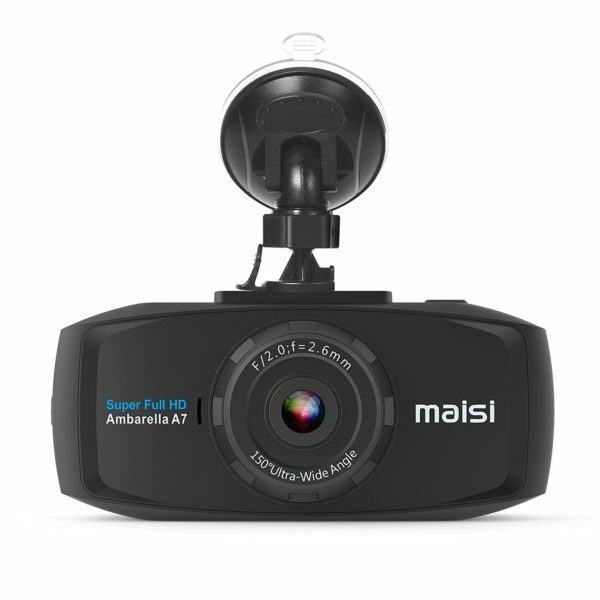 (4.9 / 5) (12 reviews) – The Maisi Ultra HD may not have many reviews, but the rating shows just how good this dash cam is. 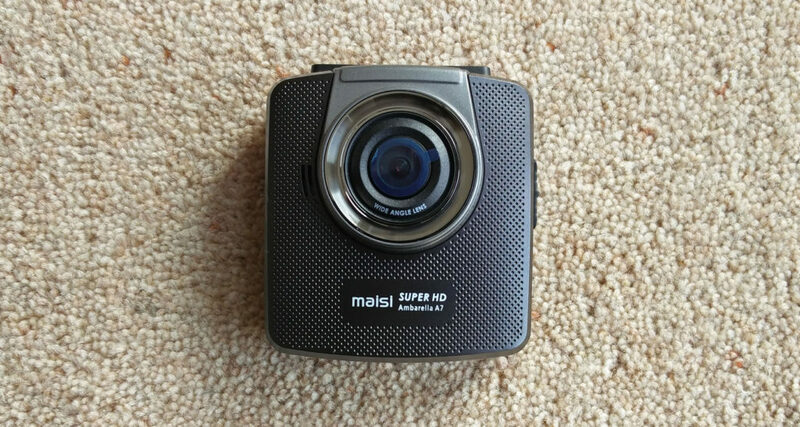 I also recommend looking at the Maisi In-Car Camcorder, as this currently has a 4.8 rating with 74 reviews.